We are a high quality manufacturers of cookies, ice cream wafers and Dairy inclusions. Since our establishment in 1982, we have been driven by high quality standards to satisfy customers and ensure food safety. As a co packer for private label companies, we bake customized products to be distributed under our customer’s brand name. With our diversified equipment we are able to provide our customers with a wide range of products and packaging options. We have ice cream sandwich equipment available for lease or for purchase. We are committed to producing consistent high quality products. We accomplish this through very tight specifications of our products, employee training and implementing all food safety guidelines. Established in 1982 in Oglesby Illinois, Cookie Kingdom, Inc., throughout the years, has developed a unique experience in customized cookies and ice cream wafers. Several expansions since our foundation have allowed us to diversify our product range and packaging options. We are committed to developing a trust with our customers and suppliers by following strict specifications and certifications. 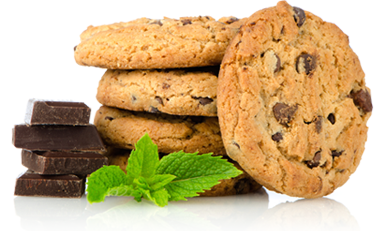 Cookie Kingdom, Inc is committed to providing our customers with safe quality foods. Cookie Kingdom's Food Safety Plan, Good Manufacturing Practices, quality and continuous improvement drive this commitment. Adequate staffing, training and the necessary resources will be provided to support this commitment.